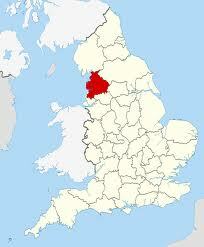 My home county although my home town is now in Merseyside, which is not recognised in the pages! Warrington is a northern industrial town, at one time the first crossing point of the Mersey, so old and with a medieval parish church. Although on the north bank it is now in Cheshire. The church is on the outskirts of town. 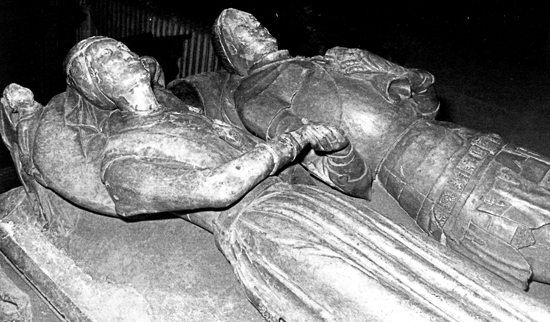 Above right: Sir John Fitzjohn Boteler (1463) and Margaret Stanley. Alabaster. his feet rest on a dog, hers on two. 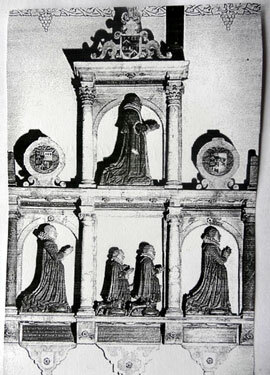 Tomb chest is alabaster: north side Holy Trinity, male saints and shields; south side BVM, female saints and shields; west side crucifixion, BVM crowned, giving girdle to St Thomas and angel with shield; east side is a later stone panel with heraldic motifs. There are a number of 18 and 19th century monuments for which information would be gratefully received.